Brushing and flossing are important for oral health and hygiene. Most people don’t brush their teeth as often as they are supposed to, and let’s face it, most people don’t floss their teeth. When Waterpik came out with their water flossers, many people began using this in lieu of thread floss, which was a benefit for their hygiene. And with the sonic toothbrushes, people found using these electric brushes cleaned their teeth better than their manual brushes. So this was another advancement in oral health. In our house we have – had – a waterpik water flosser and sonic toothbrushes. 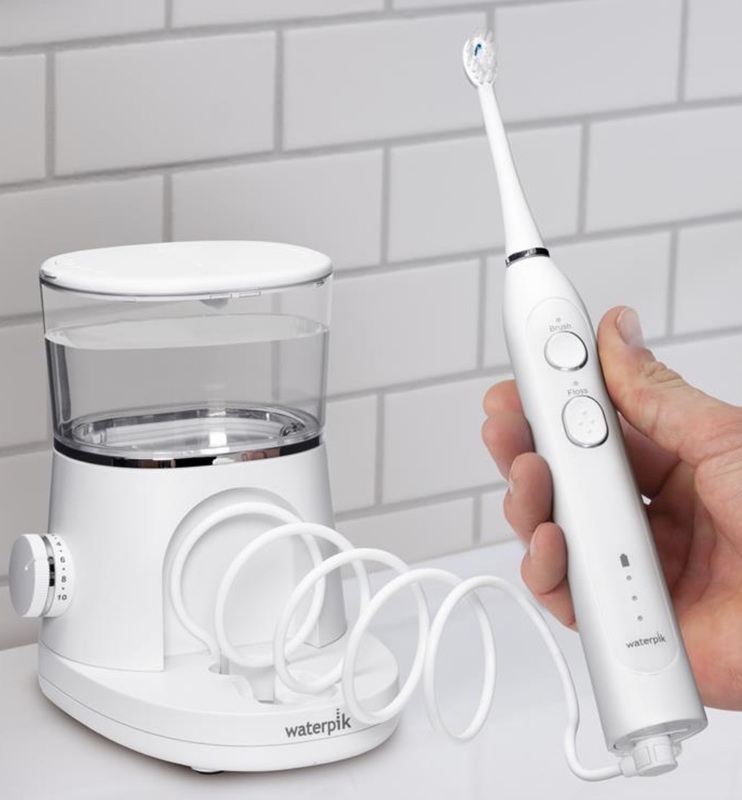 We would use the waterpik and then switch to the toothbrush. Our bathroom counter was getting filled with all of these appliances, not to mention hair dryers and other things. The new Sonic-Fusion has reduced the need for both a water flosser and a sonic toothbrush. It combines them into one compact unit. What do you get with the Sonic-Fusion? 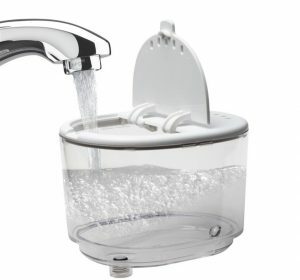 First of all, you get the water reservoir like in other Waterpik units. But attached to that is a sonic toothbrush. 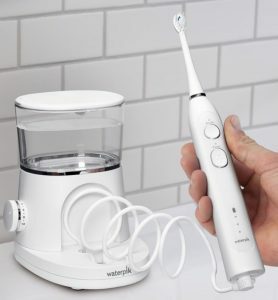 The toothbrush can connect to the water tank via a hose and when you want to take the toothbrush to the office or on vacation, you can disconnect the hose and use it as a stand-alone sonic toothbrush with a 30-minute run time. There is also a case in which to carry your toothbrush and two brushed. 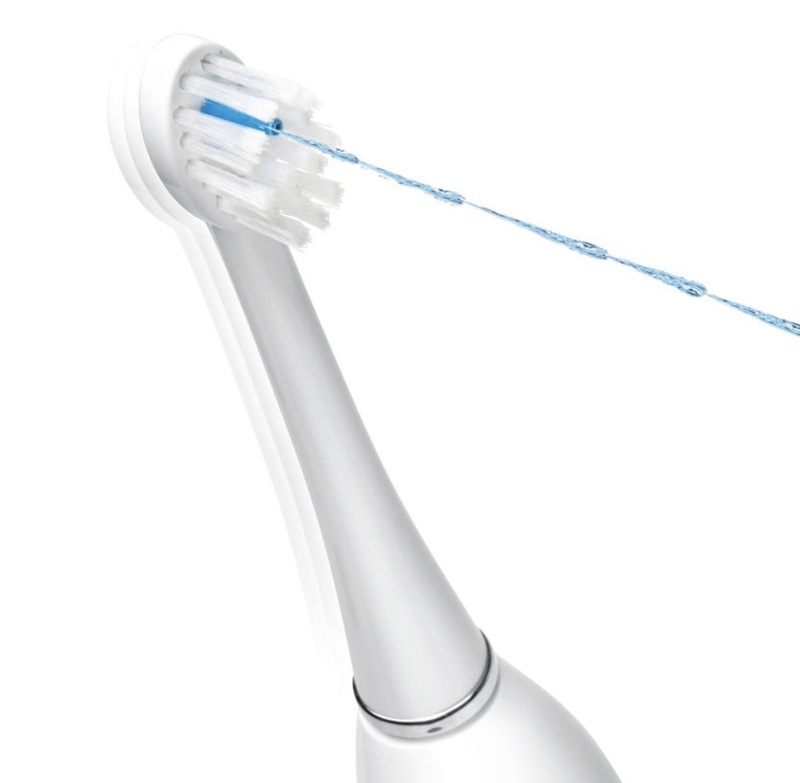 The specially designed brushes incorporate a water sprayer so when the brush is tethered to the waterpik water reservoir, it is also a water flosser. How convenient is that? The toothbrush has three modes: brush, floss, brush and floss. So you can simply brush your teeth with the sonic toothbrush, or you can simply water floss your teeth – also with the toothbrush, or you can do both at once. Think about how much time you will save doing both at once, not to mention the space you save by not having two devices sitting on your counter. On the base of the device you can adjust the force of the water coming out of the brush spigot. There are 10 settings, depending on how forceful you want the water to be. One word of warning, if you use the flosser at the same time you use the toothbrush, make sure you spread the toothpaste throughout your mouth first when the water pressure is on high as it will definitely spritz away all the toothpaste that remains on the brush. 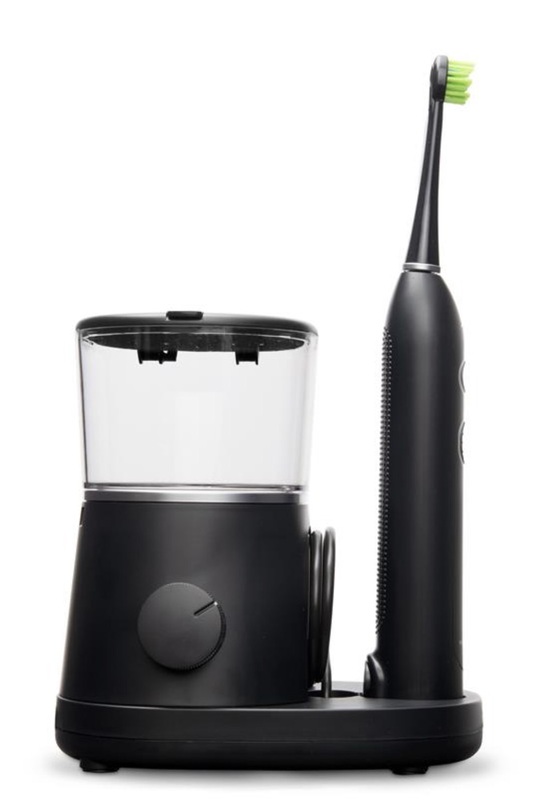 There is an automatic timer incorporated in the toothbrush. Every thirty seconds it softly beeps and then continues. This helps users evenly brush all of their teeth. By dividing your teeth into four sections (top outer, top inner, bottom outer, and bottom inner) you know you have them all covered. My only complaint about this device is when it changes every 30 seconds, it can be difficult to hear for some people. I would have preferred the change to be a bit louder or stop for a second to make sure users were aware of the time before continuing. But that’s the only fault I have found with this. Others in my house hear it just fine, however. After two minutes the device will turn itself off. Having the flosser at your finger tips while brushing your teeth is advantageous – especially for people with crowns or implants. Everything is right there in one spot so you don’t have to switch devices to get a clean mouth. Oral hygiene is essential to not only your mouth, but also your entire body. And this Sonic-Fusion cleans your teeth and also removes plaque and debris from between your teeth and at your gumline, which is a place where disease often begins. With the exception of the water pressure, all the buttons are at your fingertips, right on the brush handle. Additional brushes are available. Unfortunately, they are not color coded so what we have done in our house, after ordering additional brushes, is take some nail polish and at the bottom of each brush I painted a different color so everyone has their own brush. 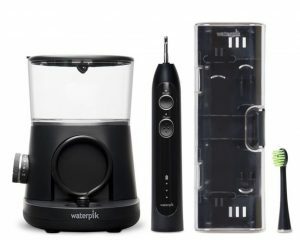 Waterpik is a name we can trust and this new Sonic-Fusion takes the best of their water flossing units and combines it with a sonic toothbrush. I highly recommend it. The Sonic-Fusion comes in two colors: white and black.